DEADLINE REMINDER: Last orders for Thermophase Detox Essentials and G-Tox Express are due at 3pm today to receive your order prior to the 12 Day Detox start date. 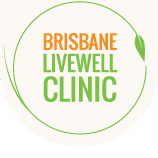 Please call Brisbane Livewell Clinic on 07 3861 5881 to order. Thermophase Detox Essentials is nutritional and herbal support for Liver Detoxification. It assists gut health, liver and cellular detoxification processes. It can be used as a meal replacement or mixed with your favourite smoothie. G-Tox Express supports gastrointestinal and kidney detoxification. It also contains potassium citrate which may reduce urinary acidity. 1 x Thermophase Detox Essentials + 1 x G-Tox Express is $140 including freight (RRP $179).